Joe Briggs joined our team in September as a project engineer. Joe has a Bachelor of Science in Network and Communications Management from Devry University. With twelve years of engineering experience, he’s carved out a niche for himself working with critical thermal technologies that enable vital applications for data centers and communication networks. 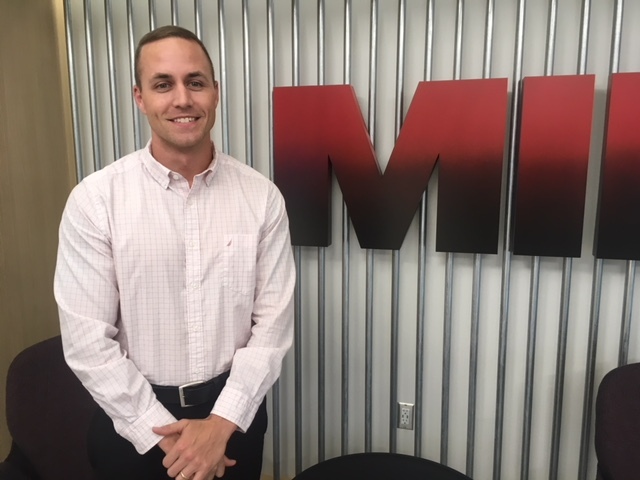 Prior to Mid-City, Joe was a part of the Vertiv team, where he was an associate engineer and a key member of the mechanical and electrical system design department. His other experience includes his tenure at Sutphen Corporation as a design engineer, and his eight years at Emerson Network Power as a senior mechanical designer. In the project engineer role with Mid-City, Joe will be working with our project management and estimating team, as well as our BIM department. Below is a brief conversation we had with Joe to learn a little bit more about his background. Q: What sparked your interest in engineering? My interest in engineering goes back to when I was about nine or ten years old. I went to the movie theater and saw the film Apollo 13, and from that point forward, I knew a couple things. First, I knew that I didn’t want to go to space. I get motion sickness pretty easily, so the thought of zero gravity makes my stomach turn! More importantly, after this movie, I knew that I wanted to be like the engineers in mission control who had to simply figure things out. There was just something about seeing these guys have a crisis situation hit, gather into their groups, and figure out here on the ground how to get the crew back home safely from space. Gene Kranz had a great quote during his time at NASA when he said, You cannot operate in this room unless you firmly believe that you are superman, and whatever happens, you’re capable of solving the problem. This quote has been a metronome for me over the years, and has helped get me through some tough obstacles. I would have to say that the most memorable projects are a combination of a few that I worked on while I was a design engineer for a local fire truck manufacturer. The thought of designing and working on fire trucks is very exciting, but it also came with a lot of responsibility. Knowing what I was designing would soon be used to save lives really added on some pressure. I’ll admit that the amount of responsibility kept me up late at night many times, but I also believe it brought the best out of me. It brings me lot of pride to know that right now, those trucks are out making runs and saving lives. I am joining the team as a project engineer, so I will have the opportunity to get involved in various areas from BIM modeling, estimating, and project management. My background is very strong in the manufacturing and mechanical design world, so I can’t wait to learn the industry and culture here, and start making an impact. Q: I saw on your resume that have a lot of experience with data centers. What about data centers do you find most interesting? I will always have a soft spot in my heart for data centers because I was able to spend a good portion of my career on the mechanical design aspect of the thermal technology that is required to keep a data center up and running. Inside a data center, there are rows and rows of these things called racks. (They can look sort of like a telephone booth, if anyone can remember those.) Inside those racks are dozens of servers, which are basically computers designed to run all the time, receiving and sending data. Well, all of those servers are working super hard to do that, which cranks out a lot of heat. So the units I helped work on provided cooling to those server racks, which would keep them running at an optimal temperature. Something else that I think is interesting to think about with data centers is how critical they are to our global economy, and how much we rely on them every day. From our personal lives being documented on social media, to our banking processes, to online shopping, so much of what we do relies on what is going on inside these giant warehouses full of server racks. It’s sort of fun to think about. Q: What do you do outside of Mid-City? Outside of mid-city, I spend the majority of my time with my wife and daughter, who is almost 18 months now. She keeps us pretty busy. I might be bias on saying this, but she’s absolutely adorable. She’s also very shy though, so we’re always looking for new activities or little things to go do with her in the evenings and on the weekends. If I’m not with them, or working on our house, there’s about a 93% guarantee I’m training at our Jiu-Jitsu gym, Team Chitwood, in Lewis Center. My friends and training partners (who I often call my extended family) are a big part of my life, and bring me a lot of happiness, laughter, and well, sometimes pain.